Games – What exactly are kids learning? Games and the value of game-based learning has been a hot topic for me lately, so I was thrilled to come across Tom Chatfield’s article, Why playing in the virtual world has an awful lot to teach children in the Guardian on the 10th January 2010 (hat tip to @paulmaglione for the link). Tom argues that there is more to games than meets the eye. 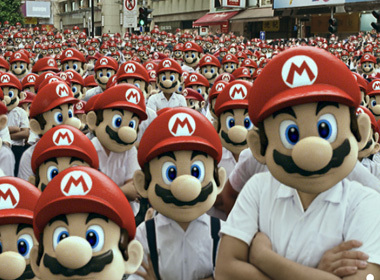 For perhaps the most remarkable thing about modern video games is the degree to which they offer not a sullen and silent unreality, but a realm that’s thick with difficulties, obligations, judgments and allegiances. 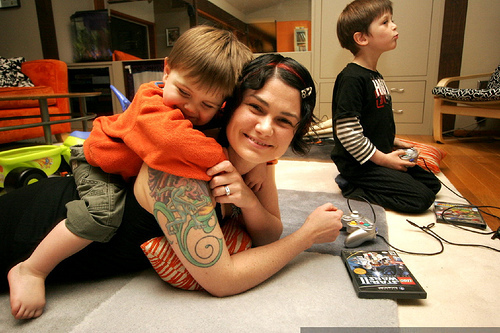 If we are to understand the 21st century and the generation who will inherit it, it’s crucial that we learn to describe the dynamics of this gaming life: a place that’s not so much about escaping the commitments and interactions that make friendships “real” as about a sophisticated set of satisfactions with their own increasingly urgent reality and challenges. From my reading on the subject, there are a number of key learning areas that games help players develop. Here are a few of the main ones. By way of example, in Moshi Monsters – a game students at my school have been playing with gusto – your monster tells you how he/she is feeling, with quite a wide vocabulary. My monster has been elated, effervescent, marginal, and sunny lately, but the other day he was just passable. One of our K2 classes created their own monster, and play it as a class first thing in the morning. What a great way to discuss and develop new vocabulary! 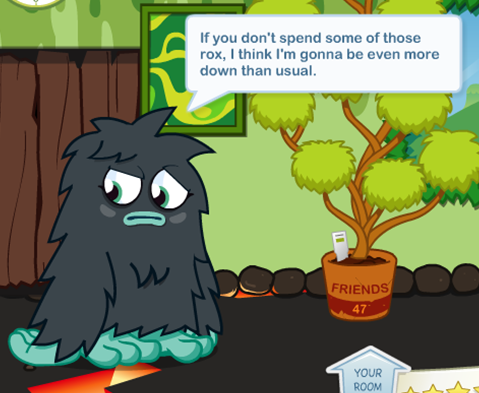 In the context of Moshi Monsters, the “specialist vocabulary” that Katie Salen speaks of, includes Moshlings and Rox – both of which I am extremely confident all players would be able to explain clearly. Message boards are also popular with students as a way of communicating with others. On my message board, students have asked me how to get a particular Moshling, commented on my room and so on. It is great to see the dialogue that it generates, and the buzz in the ICT lab is electric, to say the least! Tim Rylands, often credited as one of the forerunners of gaming in education, brought the computer game Myst into his classroom to develop literacy skills, with great success – he won a Becta ICT in Practice Award for his work in 2005. Since then, projects have been developed by schools and learning institutions around the world, including Learning & Teaching Scotland, who use games such as Guitar Hero and Myst to stimulate creative and descriptive writing. They have been receiving positive feedback from teachers and students alike. Gee states in his video for Edutopia, “Kids want to produce, they don’t just want to consume.” This is certainly true of the Playstation 3 hit, Little Big Planet, which has user generate content as a major part of the game. At my school, the Grade 2-5’s are devouring Scratch, the MIT-developed computer programming software for kids. Scratch provides an extremely user-friendly platform where users can upload their own games, or download and make changes/improvements to other people’s games and upload them again for the community to try. One of our Grade 5 students contributed a game which he has translated into 3 languages – Chinese, Dutch and English! The code behind this game (and others that the students in my class produce) is extremely sophisticated, and more often than not, beyond my comprehension! Players need to use critical thinking skills when playing games. Problem solving and decision making skills, together with logical thinking, sequencing and strategy-making are all reinforced. James Paul Gee argues that playing a game is like a continuous stream of assessment. If you fail to work out what steps need to be taken, and in which order, you will not progress further in the game. Games such as Samorost (and other games created by Amanita Design, including Samorost 2 and Machinarium) are fabulous for all the skills mentioned above. Kids love to play them together, and thrive on the challenge of coming up with possible solutions to rather daunting problems. 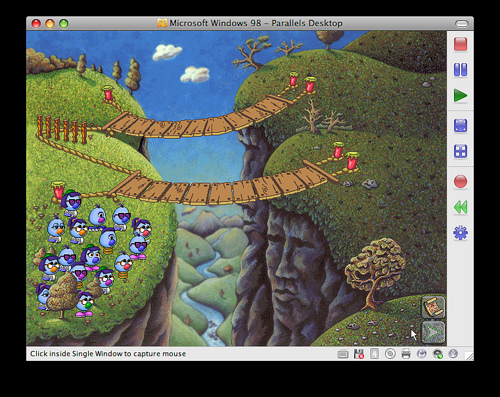 Zoombinis Logical Journey challenges children to employ such basic fundamentals of mathematical thinking as organizing information, reasoning of evidence, finding and making patterns, and systematic testing of hypotheses. We loaded it on some computers in the lab, and had a games focus for our most recent Wired Wednesday professional development with staff, and it was funny how many teachers remembered it from 10 years ago when their kids played it. One teacher even asked to take it home, because it was that engaging! …people are too hung up about learning “content” in the sense of facts. What we need people to learn is how to think deeply about complex systems (e.g., modern workplaces, the environment, international relations, social interactions, cultures, etc.) where everything interacts in complicated ways with everything else and bad decisions can make for disasters. The thinking skills developed in gaming are transferable across a range of contexts, which will be of great benefit to our students in the workplaces of the future. Good games stay inside, but at the outer edge of the player’s growing competence, feeling challenging, but “doable.” This creates a sense of pleasurable frustration. the mental state of operation in which the person is fully immersed in what he or she is doing by a feeling of energized focus, full involvement, and success in the process of the activity. Visit any website devoted to hosting player discussions of games like World of Warcraft, for instance, and you’ll find not hundreds but tens of thousands of comments flying between players who debate every aspect of the game, from weapon-hit percentages to mathematical analyses of the most efficient sequence in which to use a character’s abilities. It will range from the sublime to the ridiculous, and will be riddled with private codes, slang, trolls, flames, and everything else the internet so excels at delivering. What you’ll find above all, though, is a love of discussion almost for its own sake; and an immensely broad and well-informed range of critical analyses. It’s not unknown for doctors of economics or maths to wade into the fray – and find themselves bested by other still more meticulous chains of gamer reasoning. Participation in the social communities surrounding games, interacting with friends in multiplayer games, and contributing to discussion forums all help develop communication and collaboration skills. 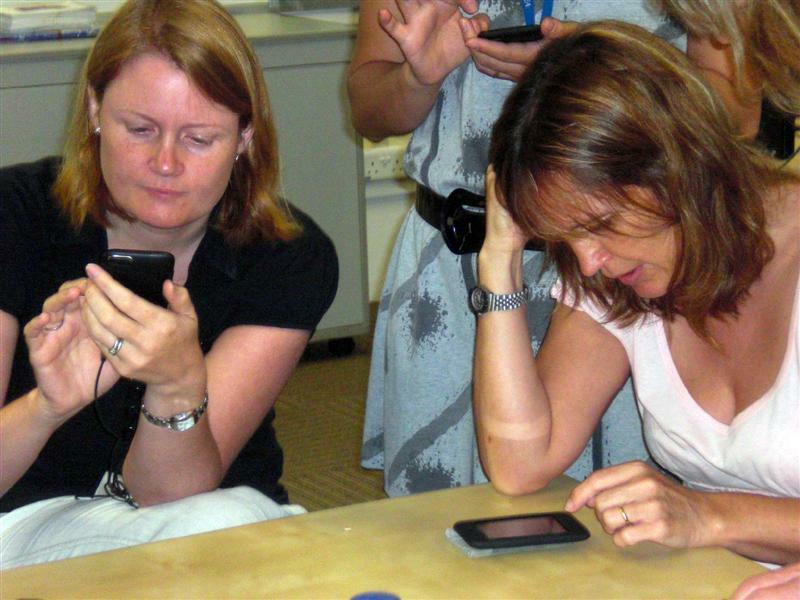 The ability to communication and collaborate with others is increasing in importance – take the ISTE Nets for example. Being able to establish a rapport with others, in a range of situations will help today’s students in future contexts. Game-playing provides leadership and peer-learning opportunities for students. Games can level the playing field. Tom Chatfield notes that, “A virtual world is a tremendous leveller in terms of wealth, age, appearance, ethnicity and such like…” It means a child can be an expert, a student can be the most knowledgeable source of information.What a powerful concept for a student in a classroom – I have something of value to offer my peers and my teachers. Face-to-face friendships develop through similar online interests, and this is certainly evident in my ICT Lab. It is easy to put the blame squarely on the shoulders of the television and computer game industry, instead of focusing on the role parents and other adults have to play in a child’s language development. Rather than throw the baby out with the bathwater, this is a powerful opportunity for parents to involve themselves in the lives of their children, and play games together. The discussion arising from shared game-playing would surely help children develop those crucially important communication skills, and create a nice shared activity for parents and children. I truly believe gaming and game-based learning has a lot to offer our students. I hope this has provided an alternative perspective on gaming, and an insight into what our kids are learning through game-playing. I would be interested in hearing how other educators have used gaming in their classrooms, and to what effect. Please share your expertise! 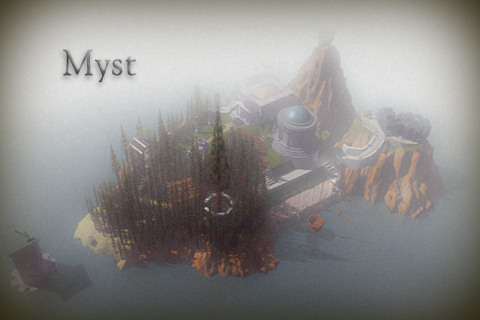 Tim Rylands‘ website has writing samples and videos of work produced by students using Myst and other games. My 2 year old son had an accident yesterday. He fell off his bike and split the bridge of his nose clean open. 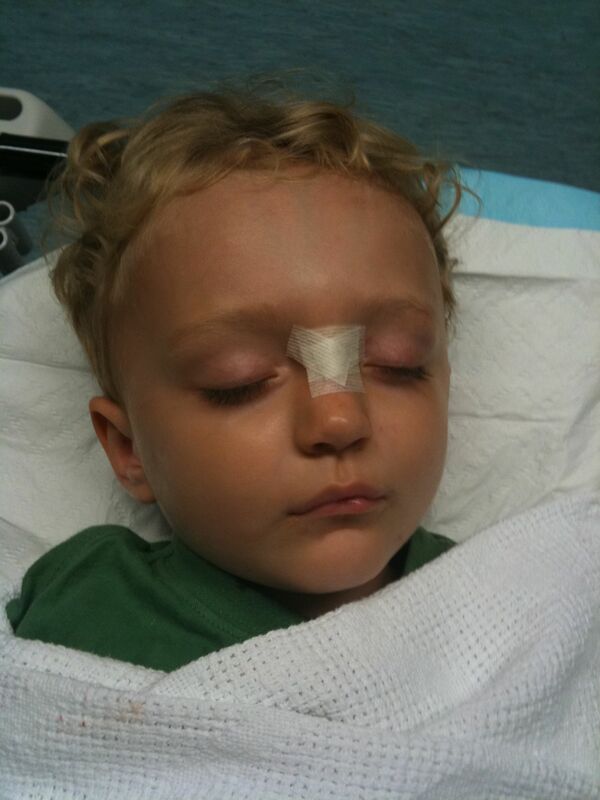 8 stitches later, he is just fine, but as I’m sure you know, head wounds bleed pretty badly – so when my husband and our live-in nanny Raquel came in from the playground with Griffin covered in blood, there was a moment where time stood still. I knew I had to keep everyone (including my four-year-old daughter) calm, and knew Griffin would need to go to A & E, but even so, I found myself dazed and forgetful. I went to the kitchen to get some ice, but once I got there, I forgot what it was I needed and had to retrace my steps. I couldn’t remember where I put the phone I was using only minutes earlier. I guess I was in a bit of shock, which is probably understandable. My husband and Raquel had both done first aid training in the last 6 months, but they were equally dazed by the event. Luckily for us, we were able to get to a hospital quickly, and everything turned out fine, but it made me wonder – what if it were something more serious? Then, thanks to a tip off by @teachernz, I read this article, about a man trapped in the rubble of Haiti’s earthquake, who used information in an app called Pocket First Aid & CPR to help save his life. 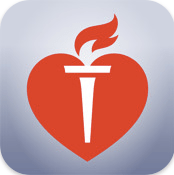 It seems to me, that $3.99 is a small price to pay for peace of mind, so I have downloaded the app (though if you want a free version, iFirst Aid Lite is another alternative). Now I know that while my husband and I are at work, Raquel has access to our iPod Touch, which will have up-to-date information that will help ensure that even if she isn’t sure what to do in the event of an accident, she has a mobile device to get specific information and videos from, straight away. Pocket First Aid & CPR even has a space for medical profiles that you can fill in for each member of the family, with information such as blood type, allergies, birth date, insurance details and weight. How great is that? Even in my dazed state, my iPhone was one item I did remember to bring with me to the emergency room, and it proved extremely handy. Griffin watched his favourite movie, Cars, which helped calm him down. When he was being stitched up, I was able to text message and/or email friends and family, to let them know what was going on. 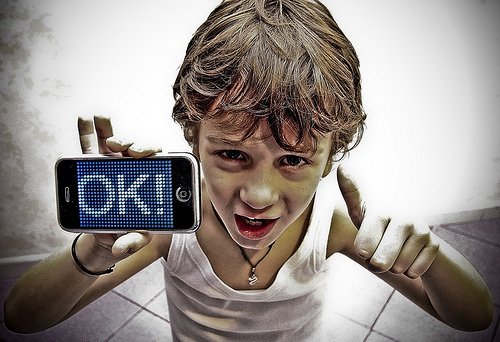 So take my advice: keep your phones charged, and think about downloading a first aid app yourself! The kids in the lab have been mad-keen on Moshi Monsters lately. I can only describe the lab as a Moshi pit at break times! Moshi Monsters is a neat little game, really engaging, with a great variety of activities and things to do that can keep kids engaged for hours – literally! I thought their interest would be a good opportunity to have a chat to them about the ways in which the website aims to hook them in, and get them to sign up as paid members. At the end of last term, I called a Moshi Meeting for all those interested in playing Moshi Monsters in the lab. Turn-out was predictably high! I got Moshi Monsters up on the IWB, and asked the assembled group two main questions. 1. How does the Moshi Monsters site try to encourage you to spend more time playing the game? They show you things you can buy with your Rox that are the level above you, so you want to increase your level to be able to buy those things. They unlock different games when you increase your level. In the beginning, you can increase your level really quickly, but then it slows down and it takes longer to increase the levels, meaning you have to stay on the computer longer. They have messages when you walk down the street like, “I wish my owner would redecorate,” meaning you start thinking about improving your room and buying more things. To buy more things, you need more Rox, which means you have to stay on longer and earn them. 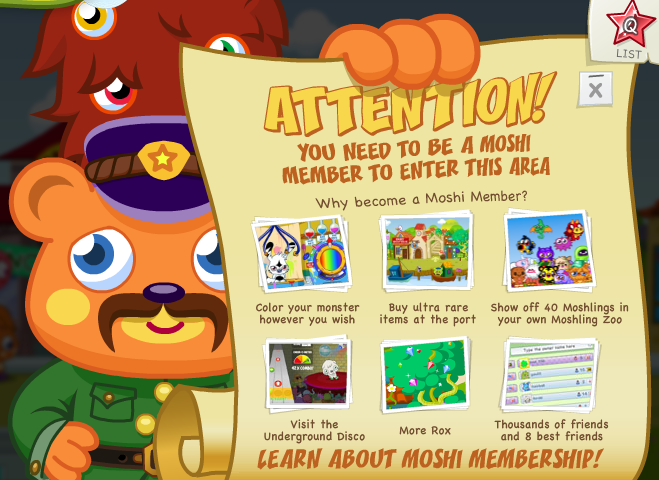 How does Moshi Monsters try to encourage you to become a paid member? You can see that there are other areas that you can access if you are a member. You can do more things – you can send gift etc. It allows you to choose your own house – you get more choices. The vast majority of the kids had no idea they were being ‘encouraged’ to spend more time online, but once it was pointed out to them, they realized that they had choices to make, and that of course the website wanted to make it engaging for them to want to pay money for it. The bottom line is that they became more informed consumers, and I’m pretty happy with that.